I was really surprised yesterday. One of our team wrote an article of the title: Kwese is not a Zimbabwean company. He was responding to a debate that had ensued in an earlier article. To be honest, I wasn’t excited about his article when he wrote and I wasn’t gonna read it because well, it was just a statement of fact that I felt could not be narrated beyond the title. So why write it, I thought. Oh but surprise surprise, it became the most read article yesterday and the most commented on across different platforms. That was not the bigger surprise, the bigger one was that most people who commented on the article felt like it was an attack on Strive Masiyiwa. Huh? 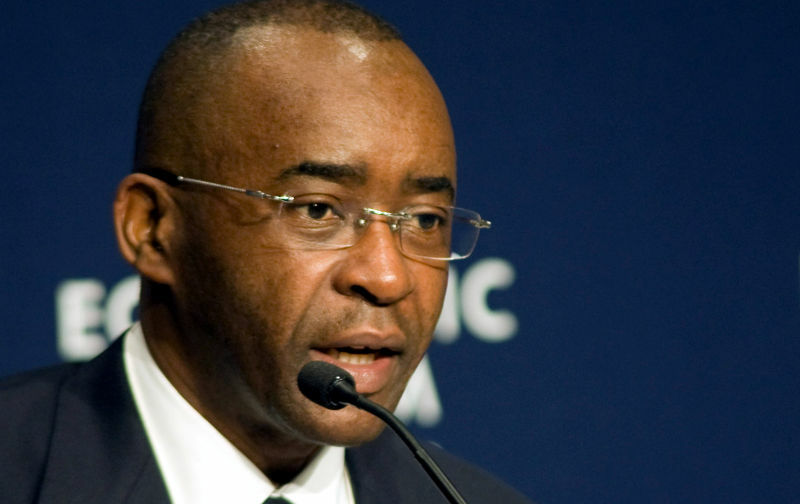 How is Strive Masiyiwa attacked by a factual position that says he is a global businessman whose companies are originated from several countries and succeeding across multiple borders? The problem is we have too much of an attachment to the man such that we are not willing to look at him in any objective way even when he is not being attacked. We are so caught up with defending him that even if someone were to state a mere fact that Strive Masiyiwa wears spectacles, the people here would draw out daggers and call for that poor person’s head. Defenses would sound like, “Ko zvemagirazi ake zvaita sei? Hazvimuite less of an icon indava muchingoda kudzikisira mwana wevhu? (What have his spectacles to do with anything? They don’t make him less of an icon, why do you have a pull him down syndrome against this true son of the soil? )” Hang on! Dude just stated a fact that our beloved Strive wears specs. Dude just stated the obvious that Kwese though found by a Zimbabwean is not a Zimbabwean company. We do not love it or Strive any less. This fascination with individuals is a serious problem in Africa. We have a good culture of honouring our elders but at times this good practice is extended to an excess that is dangerous. Even when our elders are wrong, we are not expected to speak out against them, it is not our place. I remember in my final year of high school we had genuine grievances regarding some deterioration in our standard of living at the boarding school. We decided to approach the headmaster to let him know and to give him the opportunity to explain to us the situation. I was a prefect and had a good relationship with the headmaster. I was one of the group that approached him because I thought it was noble to discuss with him and perhaps to hear him out, who knew maybe there was a plausible explanation. That’s all we wanted. How did he respond to us? Vakavava (He blew up). He said, “Muri vana vadiki, hamuna ma grievances (You are little kids, you do not have grievances). He didn’t say our grievances were unjustified or that we had approached him wrong, he said we DO NOT have grievances! That is the cultural attitude we have and we extend this stance beyond elders. We adopt this position towards leaders, wealthy guys, achievers, employers, people who give us lifts on the road and our more successful relatives at family gatherings especially at a funeral when they have bought the casket. Everyone knows tiri pama1 (we are in a terrible situation) in this country. Our very dangerous tendency is to then look for heroes to take us out of this mess. I remember when Evan Mawarire first came to prominence and when we all showed up at the Magistrate’s Court for his initial hearing. Social media the following day was awash with descriptions of him as this super hero. In fact one such was an actual graphic animation of Mawarire in a Super Hero suit similar to Captain America complete with a shield only that he had the Zimbabwean flag colours. I know Evan personally and he is a super cool guy (Maybe the ministry of cyber security will place me on their watch list for this admittance). Anyway, I love the guy but I was worried when I saw people draw him as Captain Zimbabwe. We do not need heroes. In fact, we go beyond heroes; we build people into gods. It is cool to draw inspiration from remarkable individuals, to celebrate them or even to have them lead us at times. However, when we make them gods, we miss the point. Hero worshipping places pressure on these our favourite personalities. Suddenly, they will need to be politically correct every time, and they need to live up to an unfair expectation imposed on them by us. No one can live up to that expectation every time and this sets us up for disappointment. How many people felt disappointed and complained when Pastor Evan went with his family to the United States? Where those complaints fair? Should a man be attacked for getting his family to safety? You see, this reaction comes from an unfair expectation that we had placed on him in the first place: he has to choose us before his family, before his freedom, before his life. If in the early eighties someone had raised concern about Robert Mugabe or called out some facts about him that person would have been attacked and vilified for being against the icon, the true son of the soil. Thirty-seven + years ahead and we are where we are right now. Mugabe was a hero and he could not be touched therefore people chose to ignore certain things until they began to haunt us as they do now. Read me well, I am not saying Strive Masiyiwa is a bad apple. I love the guy and admire him no doubt. I am saying that the fair thing we can do for him and for ourselves is to remember that he is a man and can be spoken about in good and in bad or in plain facts that are neither good nor bad. Facts such as where he lives, what clothes he wears or where his companies are incorporated for that matter. Even those who work in his business should view him in this light if they want to serve him and his vision effectively otherwise they will become a bunch of yes men and yes ladies. Who needs those? Zimbabwe is looking for inspiration. Strive Masiyiwa is a good story. He reminds us that there is still hope, that we are not cursed as a people. Kwese is a good story. It reminds us that even Goliath can be challenged and of course it provides us a more accessible entertainment option. We will continue to be inspired. However, we must still remember that Strive is just a man, a great one yes but still a man. Let’s not force him unto a pedestal and project our needs unto him: leave the man alone. We must still remember Kwese is one of many services, a great option yes but still just a service. Let’s probe it as a service and let us place our expectations on it to deliver otherwise if we do not keep probing at it, it will stop developing and that will be the death of the service we love so much. I expect to be attacked in the comments but hey that’s ok. Our job is not to just tickle ears, our bigger job is to stimulate conversation and that usually comes at a price of being misunderstood and attacked. I love my job! The fact that you keep on writing about him is you like Strive but want to pretend as if you know it all.If you have exhausted you tech stuff why not write about other individuals who have too many unfinished projects. Look here! Strive is not an angel, by his admission he was not born a christian, he found it along the way. I have always of the opinion that Christianity and Business is like water and oil, they dont smoothly mix. What we call profit is a result of pure exploitation. You cannot pay fairly in your business and still be left with money to call profit, it just doesnt happen. Look at Meikles today, its a mega business today, but its profit roots are from exploiting natives during tax days. Same with US and UK economies, they benefited heavily from slavery to build their economies which cannot be done today. Coming back to Steve Masiiwa, the man mastered the art of deception perfectly hidding the ills of his companies behind bible, the same trick which was deployed before Africa was colonised. But having said that, the article yesterday was way out of order for a technical publishing paper. It lacked cohesion, focus and knowledge branch of business. Masiiwa is running a business, not a charity. He is bound to do anything within reason guide of ethics. He is also legally right to structure his companies as he see fit. So wether his companies are based in Zim or outside with variance in shareholders doesnot change the fact that he is Zimbo who chose to base his companies outside Zim. Hey MacD, I don’t agree with you about business and Christianity being ‘unmixable.” I also don’t think Strive is a bad guy, not at all as far as I know anyway. Yesterday’s article was not to say Kwese is not Zimbabwean therefore it is bad. No! It was just a statement of fact hey so I wondered why people felt Kwese or Strive were under attack. Maybe it wasn’t clear enough. It was really in response to some other article. The world is now a global village, no harm indeed for any company being incorporated anywhere in the world, Kathnandu, China etc. That’s how Blue Chip companies go global. “Even when our elders are wrong, we are not expected to speak out against them, it is not our place”, incorrect! The culture puts in place routes to take. Haungati tucha tucha uchibva kuWard uchiti ndiri kunowona mutungamiri wenyika (famous statement). Routes are provided to avoid the perception of confrontation. In your school case, the results could have been different if the prefects had approached the Boarding Master or even the deputy head. On the whole I agree with your article though. Spot on! He wanted to launch Kwese in Zimbabwe first but I don’t think that’s the same as registering it as a Zimbabwean company. Is it also on public record that he wanted to register it as a Zimbabwean entity? which idiot would register a global business in Zimbabwe where ministers without creativity will be waiting to take money away from you daily and even more just before election time? Does it mean that if he wanted to launch it in Zimbabwe first, that would have made it a Zimbabwean company? Zimbabwean govt is incompetent and has handed me wealth on a platter. Everything from cradle to grave has my Econet brand on it. Catch a kombi, pay for parking, hospital fees, bills and everything you do daily will at some point pass through Econet. So, as Strive, here is what I will do; just before elections, I will pay my 5 year license fees of more than 150 million. This money will, off course, be stolen by the ruling party and be used towards stealing an election and buying luxury vehicles for the elite. This license fee alone will guarantee another 5 years of current regime and therefore another 5 years of pathetic financial management and this defaults into another 5 years of zero competetion for my brand, Econet. Out of my Christian humility, I can not really print my face on the bond notes but surely, invisibly, I am the face of money in Zimbabwe…husssh, don’t think that too loudly. By the way, I can not deliberately fund a Zanu election but I can legitimately pay my license fees and kill 2 birds with one stone. MTN, DSTV and all other vultures sniffing at Zimbabwean borders, I am sorry but you will just have to wait because this dictatorship belongs to me. and, giggle, giggle,every time this govt puts on a great show of resisting my new products, they effectively advertise and brand me for free. Let’s have a couple more months of this charade in court and then we will launch Kwese for free. You gotta love dictators and their hungry ministers, I shall silently rule Zimbabwe without needing the circus motorcade. Giggle giggle some more. Woow a balanced piece, I like the various examples you gave, they drove me into understanding what you meant. Thanks. Please kana Madhya nyaya dzekunyora verengaiwo dzevamwe. Makutituma ku unliker page renyu manje. Conversation has it’s place too doesn’t it? Yesterday’s article was wrong. End of story. The timing was so, so wrong. Facts or no facts. It’s like blaming the deceased @ the funeral after they were hit by a car. Fact or not it’s wrong. Kwese Zimbabwe is a local company. (Dr Dish is this case.) It is importing content from outside and distributing it in Zimbabwe. The question should be. Will we see kwesé Zimbabwe producing local content and exporting it via kwesé. Otherwise what u were saying was wrong and irrelevant. Yes exactly! It has become ridiculous in our churches. Touch not…. Ummm did you read the article above? @Tinashe maybe not you but techzim. About churches we can say it’s not all churches. Anyway, back to our story. U can’t say it’s not a Zimbabwean company. It’s a multinational company which started in Zimbabwe now with operations that cover 4 continents. Go to their website you will understand better. Thank you. Kwesé tv ndeya Masiyiwa who is Zimbabwean by birth. ………. Kwesé tv is not a Zimbabwean company. ……..
As a Multinational Company ine Parent country which is Mauritius. …..
#fact yekuty its a Mauritius Company owned by a Zimbo…. I sort of got lost trying to read your story but am sure you had some points. Good article. Well done. I was not sure about some of the positions you took in recent times regarding the Kwese fight and cybersecurity. On the former I thought you were ‘cheerleading’ for Strive to win the fight and in the latter you seemed to create an impression that cybersecurity was not a threat in Zimbabwe; I felt both positions were tragic to say the least. However, with this article, you have come full circle in that you seem to be crying out for balance and truth rather than heroe worship: I believe this neutrality is important. Once again, thank you. The real reason why people thought your magazine was losing it is the fact that Kwese is being frustrated in its efforts to bring the service to Zimbabwe. The issue is at hand is not what you have really tried to articulate, people are saying even if Kwese is not a Zimbabwean Company, why deny them the right to offer us a service which is affordable while seemingly trying to protect another foreign company riding roughshod over us.So people assumed the writer of the earlier article was trying to justify the frustration Kwese is experiencing. The most sensible comment thanks. It probably was not Strives first choice to register Kwese as a Mauritius company. If he had waited for Zim situation to be a normal business environment there would be no Kwese. If Zimboz in the diaspora want thier foreign registered companies to invest in Zim it makes sense to give them preferential treatment not frustrate them. Any other investor out there would make purely business decision while Zimbos are bound to consider emotional attachment to their home Zimbabwe and are therefore easier to attract. I have read a number of useful articles from this site but I think this is a waste of our time. This talk about Strive and what this site is about are now confusing me, in my opinion this is now abuse of your audience. Let’s talk Tech not people, you are being emotional for no reason. Munenge maakushayawo zvokunyora imi. Is this tech news kana kuti kindling a fire. Who doesnt know that Econet Group was registered in Mauritius? Munhu ungatovhura computer kunyora zvinhu zvakadaro? Britain is banning use of petrol and diesel cars sim aand is enforcing electric cars by 2040. Kana mashaya tech news tokupai hedu isu ma actual tech professionals who work in the industry. Go for it, some of us are very flexible as most news is somehow related. I’m sure you might have articles of value. How is this a tech article? This is tabloid stuff, please let’s get back on track. This site is starting to become more politics and less technology. I miss the old techzim. Transmedia did the same with Multichoice Zimbabwe. Multichoice operates using transmedia’s license. BAZ is reluctant to grant foreign companies media licenses, instead they see it as an opportunity to force a partnership between the foreign company and a licensed gvt parastatal. BAZ does want to give Kwese a license but they wanted them to partner with zimpapers. I think such a partnership is a fair request. Econet can best be described by one word: Monopoly. I dont see econet ads here on techzim . maybe thats why you guys are mad at them . you get ads from telone,telecel, netone which are all econet rivals . ADs are bribes by another word. Techzim must remain neutral. However, the amount of time already dedicated to Econet and Kwese debacle is advertising enough which Econet does not need to pay for. On point. Thanks for bringing this up esp to our youths who I guess happen to be following this site. I have attended many a forum in politics, religion etc and find people making their own demi-gods then one wonders what is the difference with what we have done to our current political leaders. It’s true when they say people get the leaders they deserve. Let’s celebrate those who do well amongst us but still appreciate nobody is infallible. Lol imagine dai masiiwa aari weku Tanzania , Econet ,ecocash, steward, liquid Kkkk .. He is just a man apart ,zvekuti he is jus a man ndaramba .. He answered all your problems and more before you thought they would exist, he is the man of the moment aungati kunasekuru simukai tienzane there are people at his level vanoita zvozvo . That man is a visionary so he deserve every praise the mere fact yekuti kwese Is Zimbabwean master mind that’s enough puts everyone in it pa map so get to his level then you qualify for that . Masiiwa munhu hatirambe but we praise the legacy he built . He is a businessman making money and there are several like him! I will be as polite and as constructive as one can be. Newspapers/Media is there to educate and inform the readers, unfortunately the Kwese article did not do the above. Company secretarial 101 would have informed the writer before they published that article. Well, we learn everyday. No biggie. Then coming to this article, I seem to get a lot of emotions in this. Its human nature and I know regarding this its mainly the Zimbo nature – we are highly opinionated citizens. That’s a fact, at times, actually most times this has been our downfall coz sometimes we just wanna hold different views and in some cases not necessary. With our intellect, why can’t we come together and be progressive, do stuff that uplifts us as a country???!!!! 1. Crisis of Leadership – the country has suffered for a long time with this deficiency. Leadership, visionary kind has been lacking and non-existent, and as black people in africa this is so important. We are a people that have been in a desert of leadership for a long time, so when one man gets the guts to bring us water in a container, clearly we cant spend time analyzing if the water is from the dam, or is it purified or borehole water. Please dont take my example literally, ( Zimbos might start an argument on water should be safe for drinking). I was privileged to attend one of Strive’s town hall meetings in one african country. The hall was packed by 6pm yet he was to start at 7pm, I was really proud of the guy. He spoke of how he started and gave a brief description of Harare. Ppl out there have been used to negative stories about us, and some pll could not believe he is Zimbo. Leadership is very important, thats why even in US, black people have seen the importance of having leaders in their community. Because without it, there is no future to talk of. Unfortunately with a crab mentality we will not get anywhere. 2. The Bob factor – Bob has ruined that which is leadership to the extent that anyone who is praised ppl always want to correct the mistakes they made on Bob on the poor guy. Let’s be honest, Bob is not a yardstick, if we praised him and he turned out to be not good 20years later. Thats not to mean everyone else will be like him. Mandela was celebrated but he never changed, he was humble. Bob had his fair share of positive things he did. Unfortunately in politics one is measured by their recent decisions and not past. All in all I think the country has more pressing issues to be talking about a man who is helping and filling the gap that government has left. Look, in some countries any citizen is given free space to set up businesses etc, whereas wirh Strive it seems every business he has to go fight the same government that should facilitate and enable him. At the end, government creates that sympathy support we give him. If you read the article you will realise that no one is attacking Masiyiwa. I have nothing but respect for the guy. The article is a call on you and I to practice our respect and admiration in a responsible manner. I am convinced Strive himself agrees with every letter in the article. kkkkk. “Please dont take my example literally” No, we are not taking that literally but basically you are saying we should tolerate crap because that is the best we have right now…I got you! However I think we deserve better, Masiiwa is a business men abusing our sympathy for his own benefit. Go to Botswana and compare Mascom and Econet! Great work in this article, but I want to highlight that I think it’s already too late, when it comes to having yes men, those already exist and sadly in my interactions on various levels with his institutions, the cult has already grown. kana uchida kunyararidza strive, just tell him, i know what you did in 2004.
what did he do in 2004? he wants to pretend as f he is the model businessman yet there are a lot of underhand activities!! !